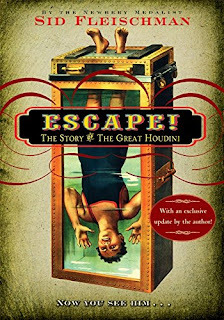 A trade paperback edition of Sid Fleischman's carefully researched 2006 book ESCAPE! The Story of the Great Houdini is released today. The paperback contains a new chapter, "The Restless Ghost", in which Sid addresses the notion that Houdini was a spy and/or murdered. His conclusion: "It's nonsense, of course." You can purchase the updated ESCAPE! The Story of the Great Houdini on Amazon.com. Tony Award-winning producer Scott Sanders and Tony nominated architect/set designer David Rockwell announced plans today to present HOUDINI, An Original Musical on Broadway in the spring of 2010. 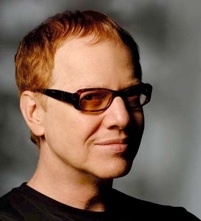 The creative team includes Danny Elfman (music), David Yazbek (lyrics), Kurt Andersen (book), and Jack O'Brien (direction). HOUDINI, An Original Musical marks the Broadway debuts of Mr. Elfman and Mr. Andersen, and first-time producing debut for Mr. Rockwell, who will also design the sets. "When David Rockwell asked me to join him as a co-lead producer, I didn't hesitate for a moment. Houdini is an amazing, iconic figure who continues to captivate our imagination more than 80 years after his death. His colorful world defines the theatrical and, combined with this remarkable creative team, will make for a fascinating and entertaining musical," says Scott Sanders. "The musical theater has always been a passion of mine, and I can't imagine a more thrilling opportunity than the creation of a new musical, especially with this team" adds David Rockwell. Broadway theater, casting and full design team will be announced at a later date. The fabled "Houdini Estate" in Laurel Canyon was the site last night for a reunion concert by Stone Temple Pilots. I can personally attest to this. I live on the same street and I had to show my address to police, who had cordoned off the street, in order to get home. I figured it was a party...or the most rockin' Houdini séance the house ever saw! According to Billboard, the group's 30-minute set was the first since disbanding in 2002. 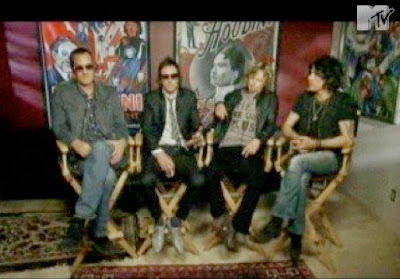 Frontman Scott Weiland said the concert's setting at the "Harry Houdini Estate" had special meaning to the band. "We shot our video for 'Creep' here in the early '90s -- yeah, we're old," the singer joked, noting that the Gus Van Sant-produced clip never saw the light of day. "It looked like an Obsession commercial, which is cool, but it wasn't what we wanted to portray." The 3.5 acre property, which was recently purchased and is undergoing restoration, includes a 2bed 2bath guest house, stone walkways, staircases, fountains, caves, and a natural spring. A video of the appearance can be viewed on YouTube. For the history of the Houdini Laurel Canyon property, click here. Kino International's new DVD box set collection of Houdini’s silent films, Houdini The Movie Star, is released today. 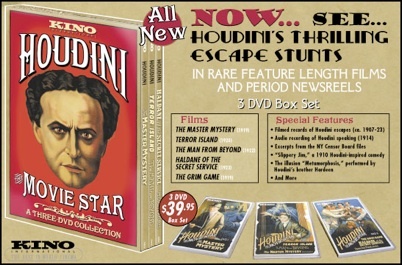 "Houdini The Movie Star" includes The Master Mystery, Terror Island, The Man From Beyond, Haldane of the Secret Service, a 5 minute fragment from The Grim Game, and filmed records of Houdini escapes from 1907 to 1923. The most significant film here is Haldane of the Secret Service which has never before appeared on any retail format (and is a much better film than its reputation would suggest, IMHO). It shows as being licensed by Cinema Arts. I'm wondering if it's the print that screened in Los Angeles last year. I'm currently working my way through the set. The films looks great and the archival footage is amazing, especially the 1907 bridge jump in Rochester NY. I also found the footnotes very very good. 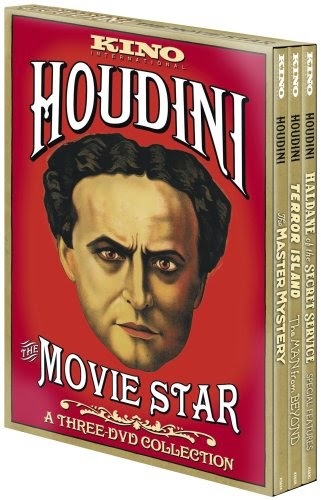 There's more info about Houdini's movie career on this DVD than you find in many biographies. There's even some stuff I've never heard before, like the battle with the censor board over the asylum sequence in The Man From Beyond. There is also a lengthy chunk of Houdini's very first narrative film, The Adventures of Houdini in Paris (1909), although Kino does not credit it as such and simply includes it in the archival footage.